makes you float, while the weight belt is heavy and will help you sink. If you did not have a weight belt you would battle to swim down and stay down. that you can be positively buoyant on the surface and negatively buoyant once the suit has compressed at depth. Simply put, positive buoyancy means that you float, and negative buoyancy means you sink. The best solution is to add just enough lead to the weight belt so that it assists you in submerging to the depth where the wetsuit is most buoyant. Now… You could use lots of weight, making the descent quick and easy, and use less energy going down, but you need to remember that swimming back to the surface with all of that weight will be difficult, energy sapping and potentially dangerous. So, you need to find the balance where you don’t use too much energy going down or returning to the surface. and positively buoyant above this depth. You should float to the surface from around 7m. This means that when you are below 8m, you should become more and more negatively buoyant and be able to glide down to the bottom without finning. surface. 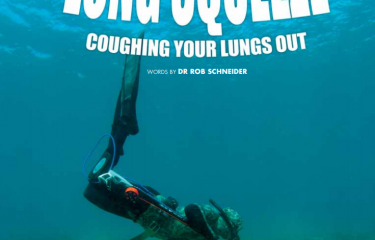 This halves the volume of the air in your lungs and the buoyancy of your wetsuit would also approximately be halved. This means you are probably half as buoyant as you were on the surface, but your weights are just as heavy. the point where you are positively buoyant again. 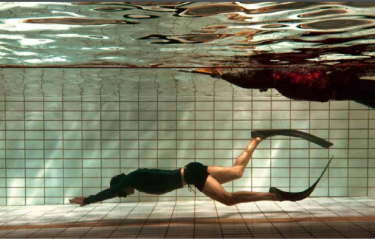 For example; if you are neutrally buoyant at 8m and are diving to 30m, it means you have to swim the weight of your weight belt 22m back to the point where your lungs and suit buoyancy will kick in and help you to the surface. hard for the first 15m to get to the point where they are negatively buoyant. 80kg then you will need 5kg (3kg +2kg) of lead weight. however serve as a good starting point. Testing your buoyancy is fairly easy. 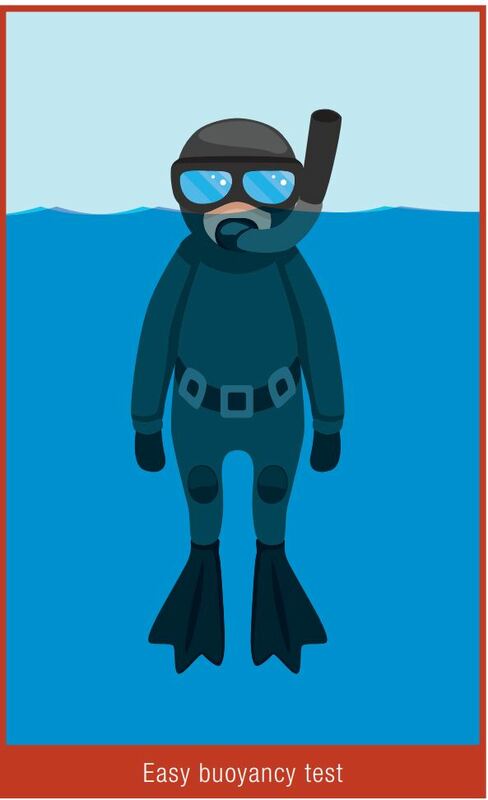 With your full diving kit on, float vertically in the water. You should be totally relaxed with your fins straight down and your hands at your sides. The water level should come just over your mouth. If your mouth is out of the water then you are too buoyant. Conversely, if the water level is past your eyes and you are sinking, then you are too heavy. and see if you sink. If you don’t have a dive watch, mark off the depth on your float line and use that as a reference. and you will be more buoyant in the sea. It is good to experiment with your weight and see how it affects your diving. If you are diving deep, however, do this in small increments as the deeper you dive, the harder it becomes to swim every gram off the sea bed. 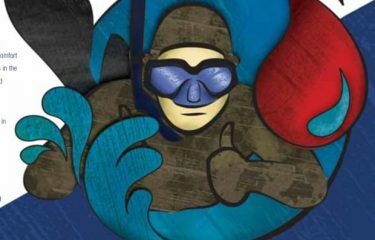 Live to Dive Dive to Live Most of us have heard stories of divers succumbing to Shallow Water Blackout (SWB).